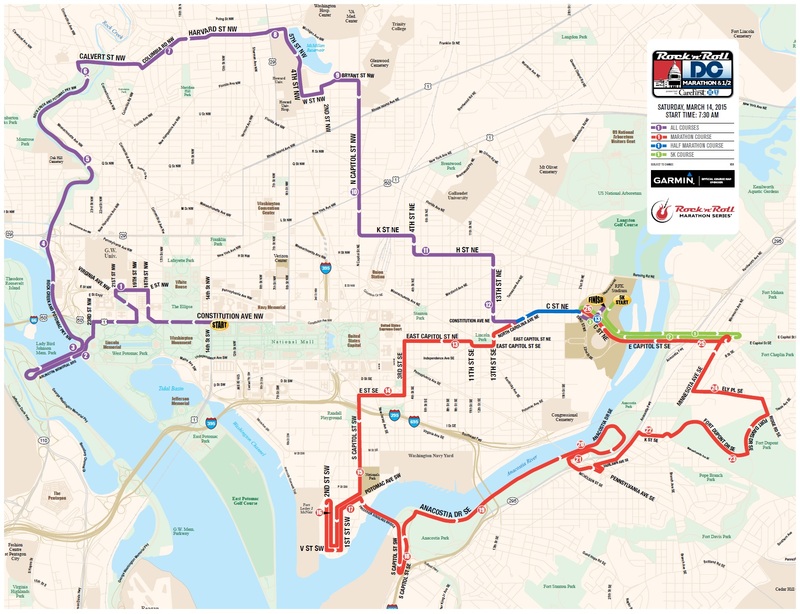 2015 Rock ‘n’ Roll USA Marathon Is This Saturday — Expect Rolling Road Closures | Park View, D.C. The Rock ‘N’ Roll DC Marathon and ½ Marathon will take place this Saturday, March 14. The race begins on Constitution Avenue, NW at 14th Street and finishes in Lot 7 of the RFK Stadium Grounds. The race begins at 7:30 a.m., travels north along Rock Creek and Potomac Parkway before traveling east on Columbia Road and Harvard Street, NW. It then travels south on North Capitol Street before heading east again on K Street, NE. The race will create rolling road closures, so make alternate travel plans, take Metro, or refer to the race course map prior to heading out. For more information or road closure information, you can find more information at the Marathon Web site. This entry was posted on March 11, 2015 at 7:01 am and is filed under Sports leisure and entertainment, traffic. You can subscribe via RSS 2.0 feed to this post's comments.